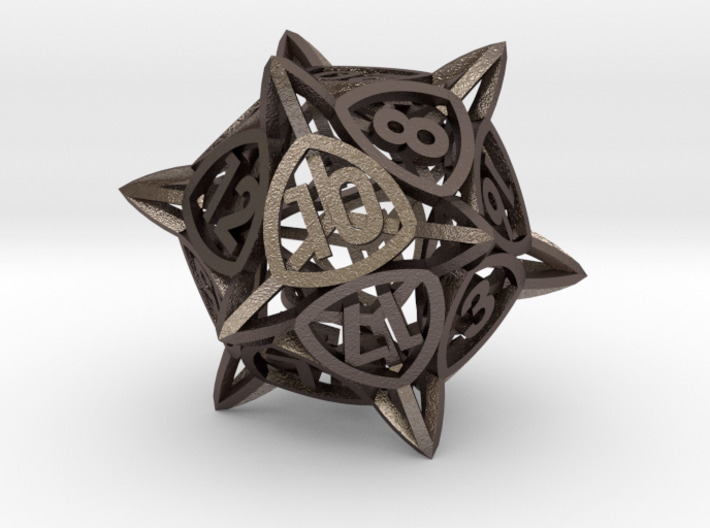 This is the twenty sided die (D20) in my 'Center Arc' dice series. 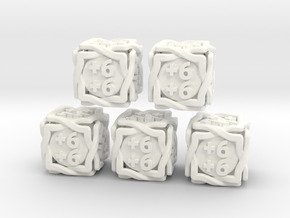 The numbers on this die are arranged so that the sum of the numbers on two opposing sides is always 21. Great care has been taken to ensure that the die is well balanced, so that rolls are fair. 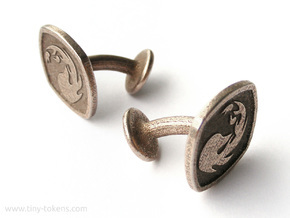 This is best printed in any of the steel materials or other metals. 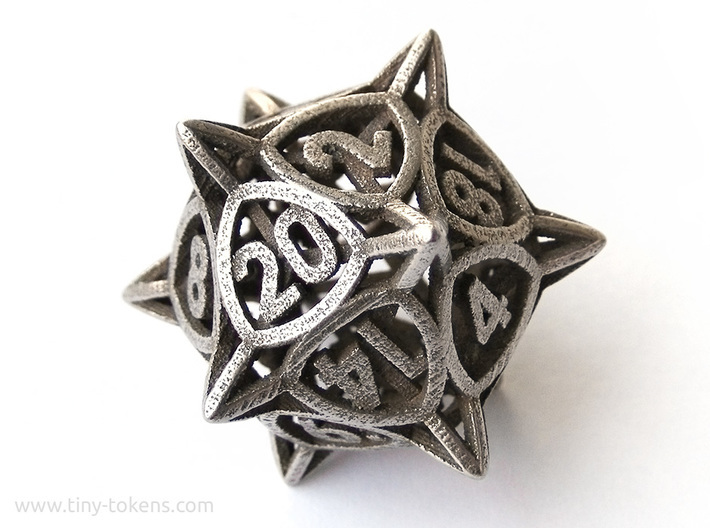 The steel version of this die weighs about 14.5 grams. This die is also available as part of the complete 'Center Arc' dice set, which you can find here. 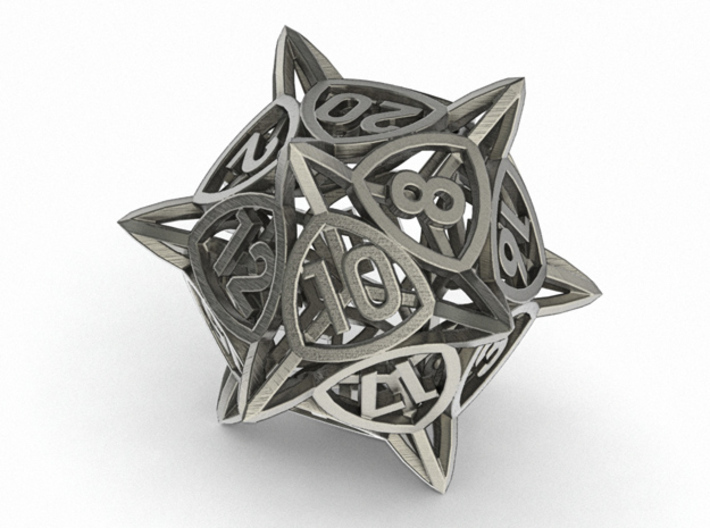 There is also a spindown life counter version of this D20 available at this link. 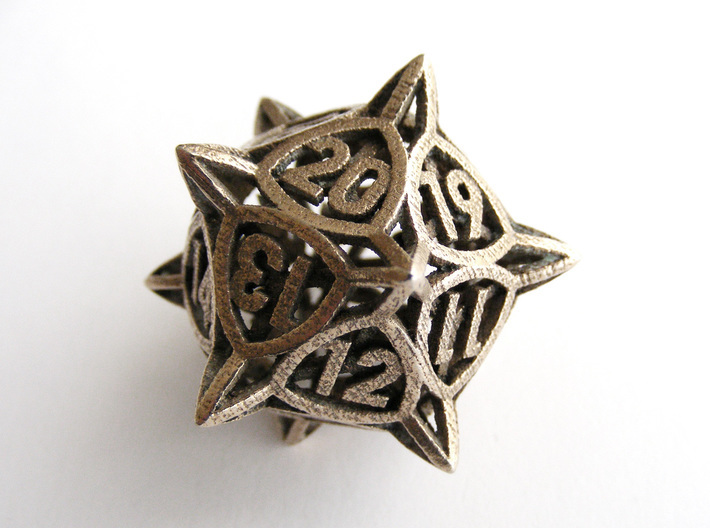 To enhance the look of the die, and to make the numbers on the die stand out more, you can darken the recessed ares by painting the die with thinned dark acrylic paint and rubbing it on a rough cloth after the paint has dried. This will clean the paint of the heightened details, leaving them shiny and contrasting nicely with the darker lower areas.